For a Will to be valid in Riverside County or San Bernardino County Probate Courts the testator (person who made the Will) must have been eighteen years old or older at the time of execution and have the mental capacity to: (1) understand what a Will is, (2) understand that the document he or she is signing is his or her Will, (3) understand the extent of his or her wealth, and (4) know his or her spouse, descendants, parents, and other persons he or she wants to benefit. Unless the Will is a Holographic Will (100% in the handwriting of the testator), it must also be witnessed by two disinterested persons (meaning they are not inheriting anything under the terms of the Will). Often, children or other relatives, who are not receiving what they believe they are entitled to, want to contest the Will, alleging that the testator lacked capacity to execute the Will. To be successful in a challenge of the Will, the person must show that the testator suffered from an illness or other condition that caused him to not understand the nature of the Will, the extent of his wealth, or to whom his assets were being left. An example might be an individual with dementia who leaves a large sum of money to his or her next-door neighbor. If it can be shown from medical evidence and other testimony that the testator did not know he or she was signing a Will, thought the next door neighbor was a relative, or that he or she did not comprehend the size of the gift being given, a Will contest might be successful. Another ground for challenging a Will is that the testator was subject to undue influence. Undue influence is the use of pressure by a trusted person or someone with authority over the testator to get the testator to execute a Will or other document that gives an unfair advantage to that person. Often, persons providing care to a frail senior can use the senior’s dependency on them to persuade the testator to benefit the caregiver. The benefit might be changing his or her Will, adding the caregiver to the senior’s bank accounts, or signing a deed to the senior’s residence. A victim of undue influence need not be suffering from an illness or other condition. He or she must only be vulnerable to persuasion by the person in the position of authority or trust. The person in the position of authority or trust might be a caregiver, a person assisting the senior with his or her finances, or a pastor at a church, as well as an advisor, such as an attorney, financial planner or CPA, or even a friend, neighbor or family member who has gained the senior’s trust. To succeed in challenging the Will, the challenger would have to provide medical evidence and other testimony which proves that the senior was susceptible to influence and that the undue influencer used his position of confidence to take advantage of the testator. 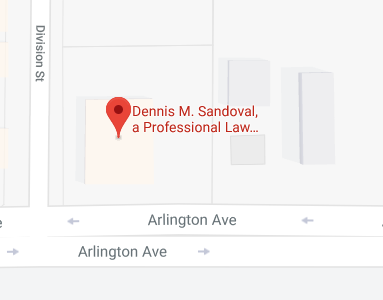 The Riverside attorneys at Dennis M. Sandoval, a Professional Law Corporation have successfully represented persons challenging the validity of a Will due to the testator lacking the required understanding to execute a valid Will. We have also succeeded in invalidating Wills where the testator was subject to undue influence by a person in a position of trust or authority. We have also prevailed in cases where we represented executors defending a Will against accusations that the testator lacked mental capacity or that he or she was subject to undue influence. Executors in this position generally may use the income and assets of the estate to defend the validity of the Will (although caution should be exercised if the executor is the person being accused of unduly influencing the testator). Call our office at 951-888-1460 or contact us online to arrange an appointment to discuss your case. Please note that we only handle litigated cases in Riverside County and San Bernardino County Probate Courts. If the testator died in another county or state we likely cannot be of assistance to you.